Certified Cheques are personal or business cheque for which the drawee guarantees payment. 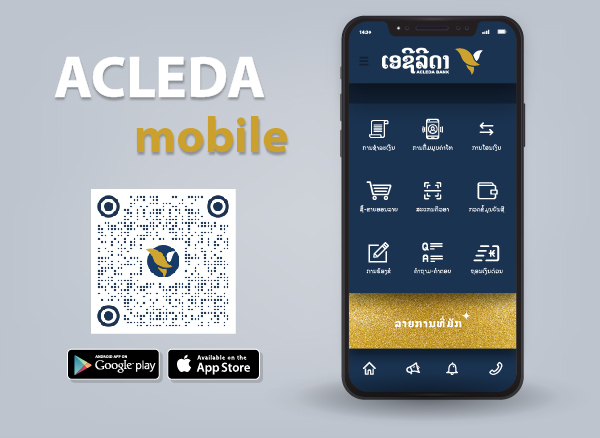 You have to contact our officer at ACLEDA Bank Lao's Branch to fill the form. Attached official cheque of ACLEDA Bank Lao for being certified. The owner's account must have sufficient balance. Customer must have ID card or other valid documents if they are not the owner. The fee for Certified cheque is USD1.00 or LAK10,000.00 or THB40.00 per cheque (we can be flexible about this fee). Local money transfer charge, if beneficiary withdraws or deposits at any ACLEDA Bank Lao’s Branch or Online Service Unit.